When it comes to a WooCommerce store, the requirements for your hosting service changes slightly. This is because you have some special considerations in terms of speed, security, and support. Let’s look into some of the best WooCommerce hosting solutions currently available. One of the most popular hosting solutions for WooCommerce, SiteGround is tailor-made to simplify your store management. You can expect free SSL and PCI compliance along with pre-installed WordPress, WooCommerce and Storefront theme. Some of the highlights of their service include daily backup, automatic updates, and dependable support. Let’s look into some of the features that make this hosting service standout. Superior SSD hardware ensures that you get the best possible solution when it comes to speed. This is accentuated by the fact that free CDN, NGINX, PHP 7, and HTTP/2 are also bundled along with it. Caching is one of the aspects that WooCommerce owners pay special attention to when they look for hosting plans. SiteGround has customized the whole thing based on NGINX and Memcached, for better speed. You can be assured of a safe and stable platform when you choose SiteGround. Automated backup and updates make it really easy to manage your WooCommerce store. Security is enhanced by speedy bug fixes and custom firewalls. Assuring superior performance for your WooCommerce store, SiteGround has plans suitable for businesses of all sizes. 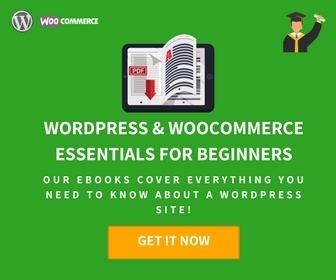 With the essential requirements already installed, it would help you get on with your WooCommerce store pretty quickly. They also provide free SSL and PCI compliance, which is another important aspect considering you have to deal with customer data. Managing your WooCommerce store is made really simple with SiteGround hosting. There are multiple plans available based on the size of your business and scaling plans. If you are just starting out with your WooCommerce store, the ‘StartUp’ might be a good option, with essential WordPress features. It costs you $3.95 per month. If you want premium WordPress features and have multiple websites, ‘GrowBig’ plan might be a better option. At $5.95 per month, you will get 20 GB Webspace and Wildcard SSL. If you are looking for a high-end plan, that has 30 GB web space and advanced WordPress features, you can go for the ‘GoGeek’ plan for $11.95 per month. Yet another popular hosting solution for WooCommerce, Bluehost offers a simple and hassle-free experience with WooCommerce. Powering over 2 million sites worldwide, Bluehost is clearly a hosting solution that has real international appeal. Some of the factors for this great popularity is the ease of setting up. 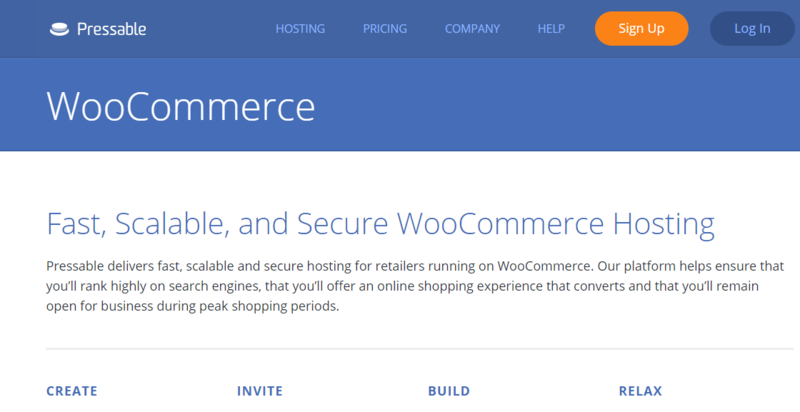 With Bluehost, you can set up a WooCommerce store in minutes, and start selling online. The top-notch support team, available 24/7 is another reason for their popularity. You will get personalized support for any troubles you face with your WooCommerce store. In addition, yop class security and encryption features are included. The plan includes an SSL certificate and a dedicated IP. The features of a reliable hosting service provider would really compliment well with WooCommerce to help you create beautiful stores. Moreover, Bluehost has a dedicated team that is focused on WordPress development, and there is collaboration in multiple ways including sponsorship of WordCamps globally. Bluehost will be a wise hosting choice if you are looking for a WordPress WooCommerce site. When it comes to pricing, you will find three different plans that you can opt for. Starter ($6.95/month), Plus ($8.95/month) and Pro ($12.95/month). You will get un-metered web space, along with unlimited parked and subdomains with the latter two plans. If you are managing multiple sites, Pressable can be a great option to check out. You will get great speed, dependable safety, and optimum scalability with this hosting solution. There is also considerable focus on ensuring search engine optimization and customer experience. 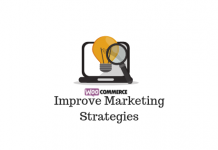 This will make sure there are more conversions on your WooCommerce store and your business has better chances to prosper. Pressable too comes with WooCommerce pre-installed. It also has several advanced features to help you manage your store well. Managed updates and daily backups will make sure you can manage your WooCommerce store without major troubles. In addition, free SSL encryption ensures safety and security for your customer’s data. Overall, it makes sure that you present a credible online storefront that is customer friendly and search engine friendly. The pricing plans start from $25 per month for five sites. 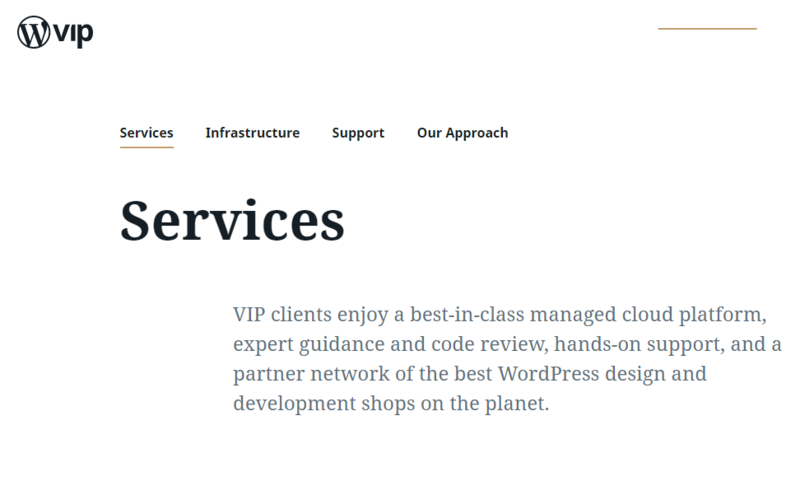 For enterprise level solutions, there is nothing to beat WordPress VIP. 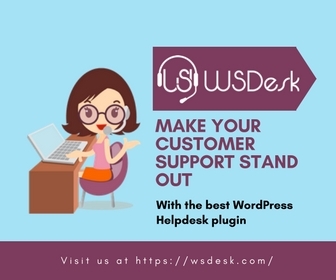 It is the largest WordPress site on the internet, and you will be privy to the advanced knowledge required to create the best experience for your customers. Already serving major sites with humongous traffic, WordPress VIP offers great potential to excel at an enterprise level. The managed cloud platforms come with dedicated support, and unmatched guidance code, design, and development. With WordPress cloud hosting, you can practically forget the maintenance aspects of your site. Containerized hosting and global data centers ensure seamless functioning of your store all the time. Constant monitoring and periodic backup ensure you are prepared to face any difficulties. The collaboration in reviewing your development efforts makes this really standout compared to other solutions. Integration with a solution like WordPress VIP would make sure your store is always efficient and updated. However, the pricing may appear really steep in comparison with others. The plans start from $5000/month. 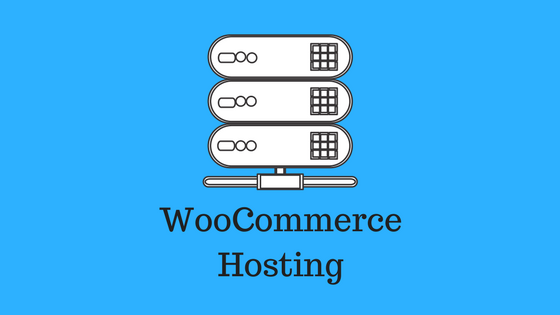 If you are looking for a hosting solution that is fast and dependable with great compatibility with WooCommerce, then look no further. Cloudways is what you are looking for! You will get WooCommerce pre-installed as in other cases, along with W3 Total Cache. You also get a superior stack with Varnish and NginX. Also, the security and management of your store are well taken care of with standard server monitoring and easy SSL integrations. Choice of data center location – With servers in over 45 major locations around the world, you have the choice to select one. This will help you reduce any latency issues by choosing one that is close to your target market. Easy server upgrades – One of the challenges you face while selecting a good hosting plan for your WooCommerce store is the ability to scale. Sometimes you start with an inexpensive plan of lower bandwidth. As your business grows, you are forced to change to a more capable server. In such a scenario, Cloudways can be of real help with their easy server scaling. Guaranteed up-time – If your WooCommerce store goes down quite often, it can really impact the perception of your customers. This will, in turn, badly impact your sales too. With Cloudways’ guarantee, you can rest assured that your WooCommerce store won’t be down even for a moment. Continuous monitoring – Cloudways allows for continuous monitoring of your WooCommerce store. And in the event of downtime, Cloudways automatically restores your server, so that your customers won’t feel lost on your site. You will also get notifications for any particular aspect that needs your attention. Efficient team management – Managing team members and their access to your score are much simpler with Cloudways. You can select the required team and access from within the console. Features like this really help Cloudways to be among one of the most preferred WooCommerce solutions currently available. WP-CLI support – Offers WP-CLI support on SSH access. Without any complicated procedure, you can operate WP-CLI straight from your browser. Hassle free migration – If you decide to migrate your WooCommerce store to Cloudways, there is a dedicated tool called Cloudways WordPress Migrator, which will help you do it in quick time. Overall, with its growing reputation, Cloudways is one of the best-managed cloud hosting solutions currently available. When you are running an eCommerce store, there are several aspects that you need to consider to ensure the continued smooth functioning of the store. Choosing a hosting plan is one of them. Although a WooCommerce store is more or less the same as any other WordPress site, there are certain dynamics that create unique hosting demands. Let’s see some of them. The caching feature of your browser is really a good tool to help your site load faster. this is achieved by storing files locally on the user’s browser. This way, when the user visits a page, the load time is reduced considerably. It works for the most part of a WooCommerce store too. However, when it comes to Cart page of WooCommerce, caching can create certain issues. If you are using a caching plugin, it will cache all your pages including the Cart and Checkout ones. As a result, customer’s browser won’t show the latest version of these pages. A wrong Cart or Checkout page can really make the customer lose trust in your store, and your conversions may take a drastic hit. Thus, un-caching some of these pages such as Cart, Checkout, and My Account is really important for the smooth functioning of a WooCommerce store. This can be achieved by choosing a hosting plan that integrates well with WooCommerce. Basically, hosting service providers incorporate a good caching plugin that works seamlessly with WooCommerce. Some of the good caching plugins that do not cache specific WooCommerce pages include W3 Total Cache, Varnish, etc. With a large number of products on a WooCommerce store, the number of database calls can also really increase. The storage of customer information is another obvious eCommerce aspect that needs the backing of a good hosting service provider. If these aspects are not taken into consideration by the hosting service provider, then your site may suffer from performance issues. A slow loading site can drastically reduce the credibility of a WooCommerce site and that has to be avoided at all costs. A WooCommerce store owner should choose only a hosting service that can promise continuous good performance. 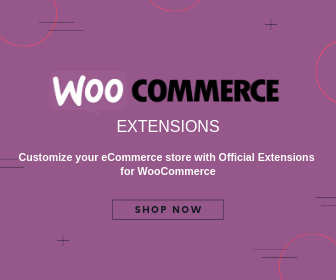 On a WooCommerce store, you need to include different extensions to manage a lot of functionalities. These may include shipping plugins, payment gateways or tax calculators. How your server is dealing with these kinds of requests and responses is a crucial aspect of your WooCommmerce store. As a WooCommerce store owner, you really can’t afford to have many issues with your site. If at all you face an unavoidable issue, you would want to resolve it as soon as possible. A dedicated, responsible human support system would really mean a lot to the store owner. This does a lot of good in understanding the specific issue and acting right on it. On the other hand, if your hosting service’s support team gives you some sort of generic advice for every problem, it might soon create a different headache. You can understand this aspect of the hosting service from a pre-sale query itself. When you start out, you probably would want to go for an inexpensive option. As your business grows, you want to switch to a plan that can hold the increasing demands and traffic. A good managed hosting solution would really help you with the scaling part. Changing from one plan to another will be a simple affair with most of the managed hosting solutions. Getting a good plan from a reputed hosting service provider is a major aspect of the success of any WooCommerce store. Finding a plan that is taking into account the special requirements of an online store would do a lot of good for you in the future. Furthermore, it is important for the hosting plan to be able to handle the increasing demands of a growing business. Fundamentally, your hosting service should provide an uninterrupted shopping experience to your customers. Please leave a comment, if you have a query or suggestion.